It’s beginning to look a lot like the holiday season! Christmas movies are on TV non-stop, football is getting really good and there is peppermint and gingerbread everywhere 😛 Yummy yummy. 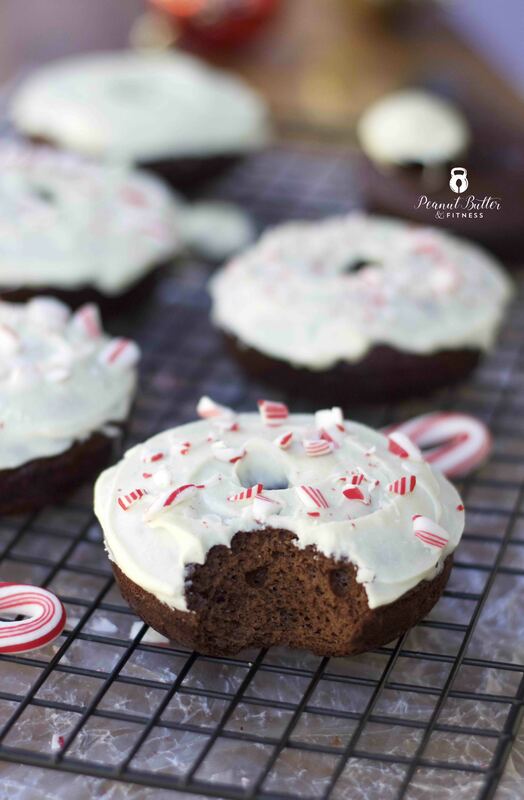 Speaking of peppermint…I think I may be in love with these peppermint hot chocolate donuts…they’re a perfect cake donut with a dreamy white chocolate and peppermint icing. 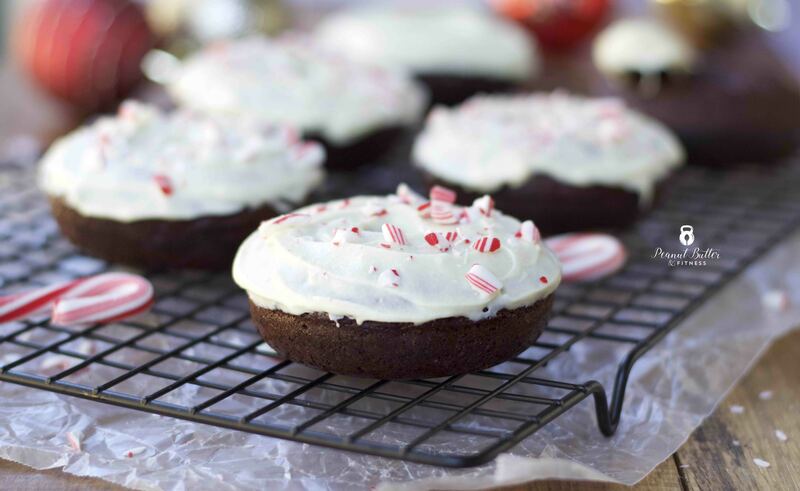 Got stock up on candy canes because you need to make these for dessert! 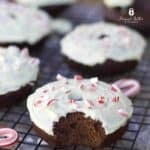 Another surprise about these donuts is how much protein they pack AND that everything except the white chocolate chips are paleo! I’m looking at you, Cross Fitters. Just be sure to use grass fed whey protein. Pre-heat oven to 350 degrees and spray a donut pan with non-stick cooking spray. Mix all dry donut ingredients, then add wet donut ingredients and mix until well combined. Pour evenly into 6 donut cavities. Bake at 350 degrees for 18-20 minutes or until a toothpick inserted into donuts comes out clean. Remove from donut pan to cool. While donuts are cooling, heat white chocolate chips and coconut oil for 30 seconds at a time in the microwave until melted. Stir until smooth, then slowly add whey protein and whisk until smooth. Add peppermint extract and whisk until smooth. Pour into shallow bowl. 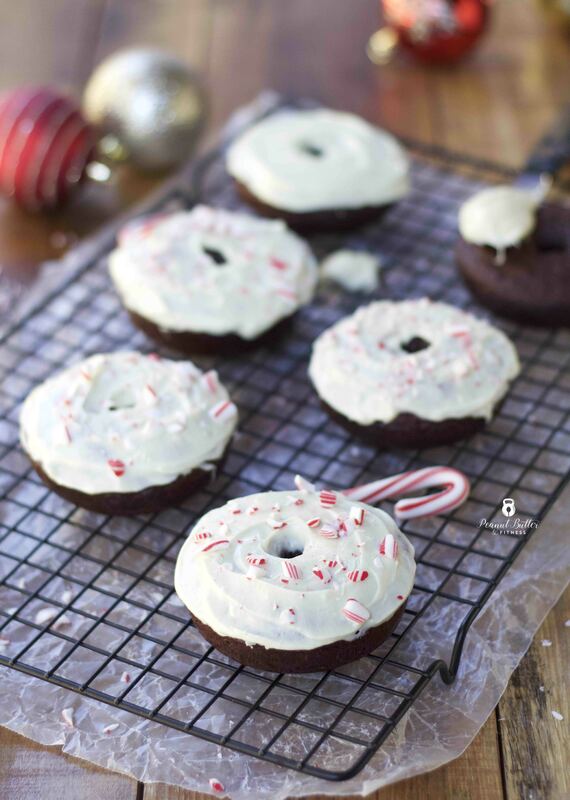 Dip donut tops into melted chocolate (or spread it on with a frosting spatuland sprinkle with crushed candy canes. 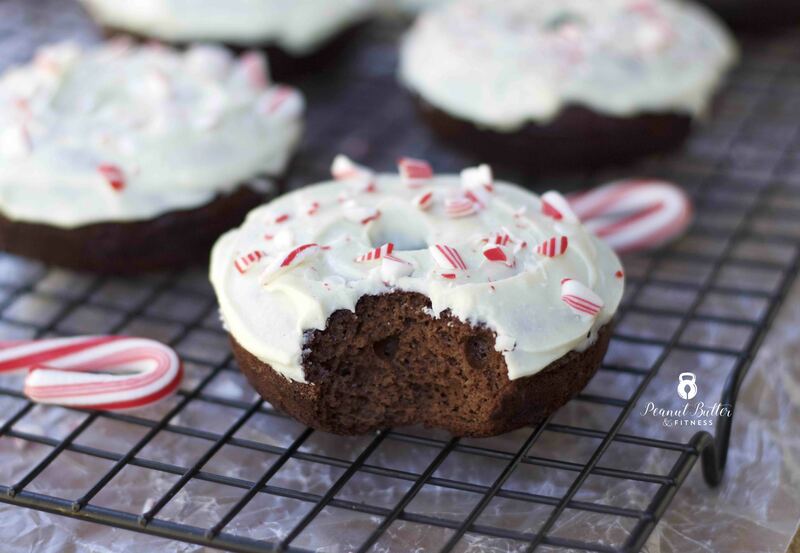 Tis the season for all things peppermint! 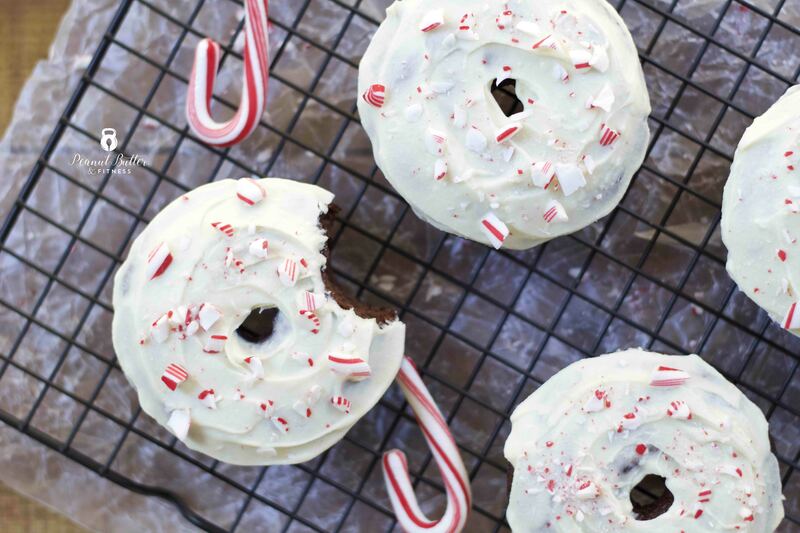 These donuts look like post-workout perfection ! I love knowing that I can satisfy my sweet tooth while nourishing my muscles! Love this recipe! I’m always looking to add more protein into treats, just to make them a little more filling. This sounds delicious!